What did you get for Christmas?! …GOUT?! Lucky you! Just what you always wanted…hobbling around, wincing in pain, pretending to smile, all the while thinking about finding a meat cleaver to chop your foot off with. Christmas or not, there is never a good time for getting gout. As The Gout Killer, that last thing I want is for you to get gout for Christmas. Gout is a very strange and mysterious condition and if you are like me and a million other people, the question, “What IS Gout?” has inevitably come up. Unfortunately, most of the explanations you are going to find for it, are the ones the pharmaceutical industry wants you to hear about. Thank you Bert for the information. I placed my order last night for this product. My gout has been in check by using your program and I read on you e-mail. Breathing, water, relaxing, and eating right has been great for me. Have a Merry Christmas and a great New Year. I want you to be happy that you woke up on Christmas morning with a gout attack! THIS IS THE BEST DAY OF YOUR LIFE! Getting gout for Christmas just might be the best thing that has ever happened to you, the best present you’ve EVER gotten! Because it is probably saving you from having a heart attack! Or diabetes! Or a stroke! Or Cancer! Gout is just a painful omen of worse things to come – you should be happy it’s only gout! 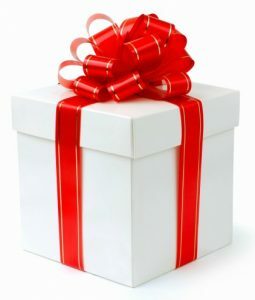 What will you do with your new present? KILL IT! haha! In a very thoughtful and loving way, of course. And…learn from it. It’s very interesting that so many of the our modern day degenerative diseases all have similar roots due to misguided diet and lifestyle habits. Since you find yourself dealing with gout, what patterns of the way you go about living your life, are responsible for these results? That is a very good question we all should ask ourselves each and every day. Often, the question comes up, “what should I eat for gout?” – the best answer is, “eat to improve your digestion and kidney function”. 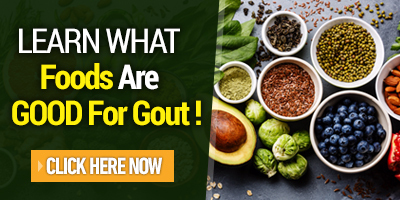 Trying to isolate and deal with gout apart from the rest of the biochemical dysfunction going on in your body, is the mistake most people make when it comes to gaining greater understanding of gout. It can almost be said that gout is a symptom of greater imbalance on a deeper level. Unfortunately, trying to achieve nutritional balance with diet alone is a full time job. There is a definitely a place for supplements in our toxic world. In our never ending quest for convenience, we are slowly killing ourselves…and the earth along with us. Long ago, it was reported that our soils were vitally depleted of the critical nutrients that helped them grow strong and healthy…which are the same nutrients we need to get from eating them. In some weird, left-handed way, gout is making your a better person – more aware of yourself and the world around you. Gout also makes you much more humble, compassionate, and tolerate. So next time you have a gout attack, thank your gout for all the valuable lessons it is bestowing upon you…THEN KILL IT! haha! ☆ Remember: To avoid symptoms of gout for Christmas, you need to pay attention; to what you are thinking, breathing, eating, and drinking. Hello Bert, Not sure my wife now or any partner over the past 27 years would agree I have in any way become more tolerant! But I get your meaning. I am unfortunately on the verge of gout everyday and I have been told levels of the gout affliction are categorised? My doctors say I'm in the top 2% ???? Daily high dosage of Allupurinol are still unfortunately sometimes supplemented with Colchicine or Prednisolone. Sadly I can't even only have a few beers or rums anymore. My Achilles heel appears to be tomato's. In any type in anything? Have you heard much of this as a lethal trigger. My acuteness to activating the gout beast is now also virtually and spicey food, no more Tabasco sauce 😩 Or any sauce... which is killing me. Mental stress does appear also contribute, no doubt but it's so hard to "be happy" when the black cloud in my body moves to a different place almost daily now. Being 57 this year and now 12 months on from a hip replacement , I believe due to long term affects of gout/ medications, I don't ever think I can get fit again. I played sport for 40 years and get very frustrated with the lack of mobility now. ( even though I know I'm lucky compared to so many others) would be interested to hear of any real success stories and how individuals achieved success. Happy GOUT FREE New Year!